Piaget is a famous jewelry brand, so it is not surprising that when the firm makes a watch, the watch is spectacular. This 2015 Limelight is a one of a kind watch, in 18k white gold, with pave diamond case and dial, accented with mother of pearl ring on the dial with roulette style numerals. 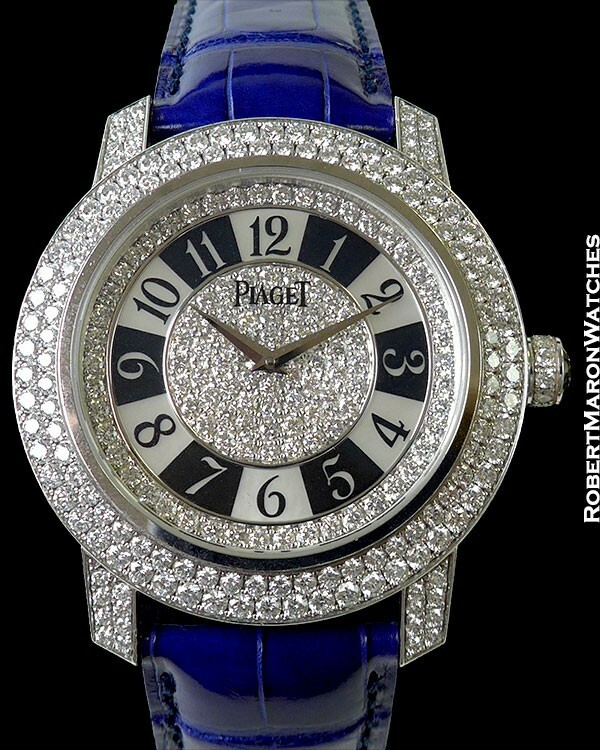 “PIAGET” is etched into the sapphire crystal. Case is 40mm diameter by 10.3mm thick. 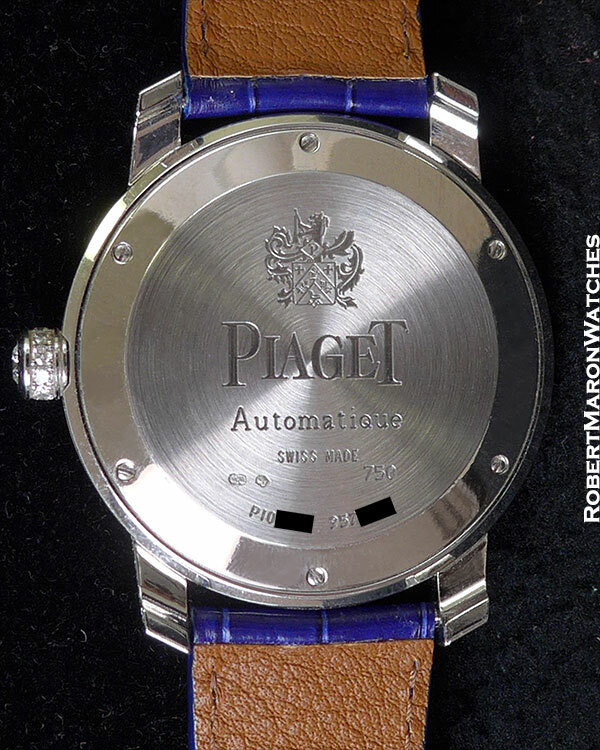 Case back is engraved with the Piaget logo, “PIAGET Automatique” along with the serial number and 18k hallmarks. Automatic winding Piaget Caliber 530 with 26 jewels. 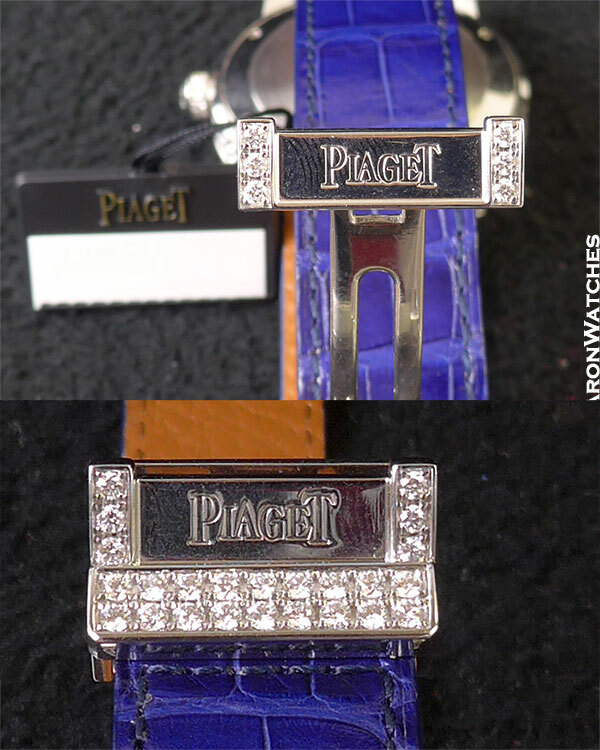 Original Piaget blue crocodile strap with 18k white gold diamond set deployment clasp. Even the crown on this watch is set with diamonds. 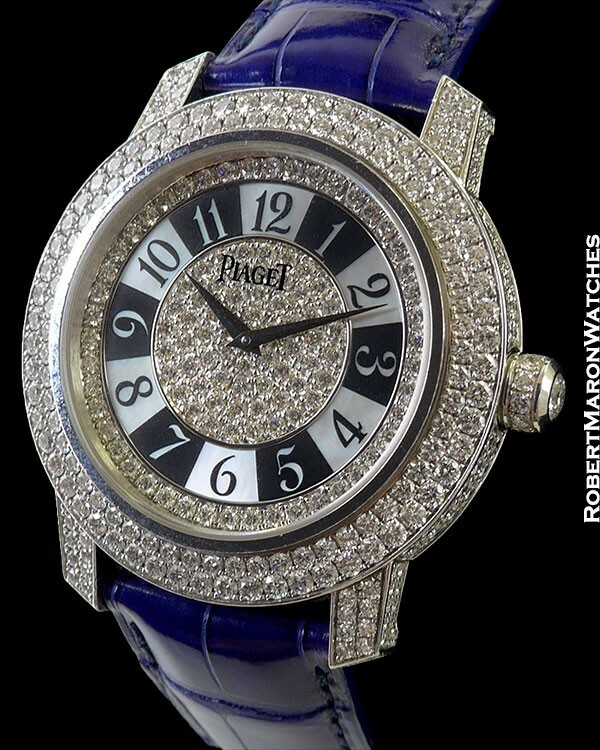 Piaget uses only the finest quality diamonds and this watch sparkles like no other. Watch is 99% new with box and warranty dated summer 2015.